The Midnite Shunt Busbar mounts on a 500 shunt. 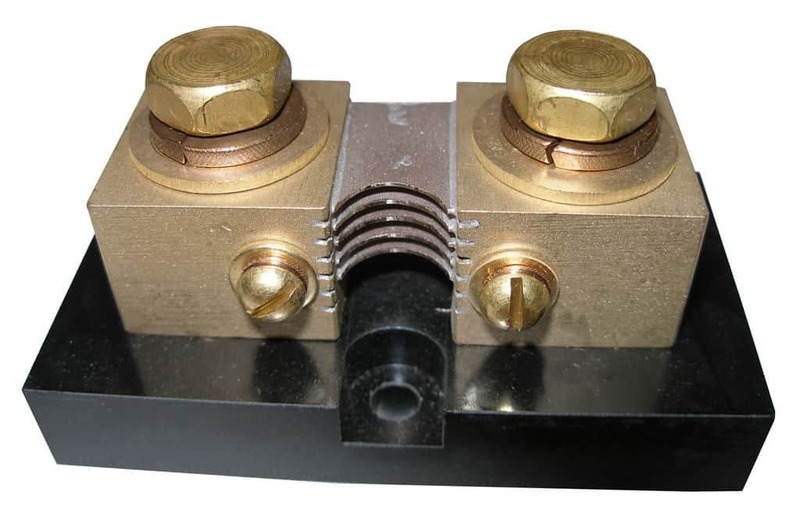 This is the same busbar used in the Midnite Nottagutter. 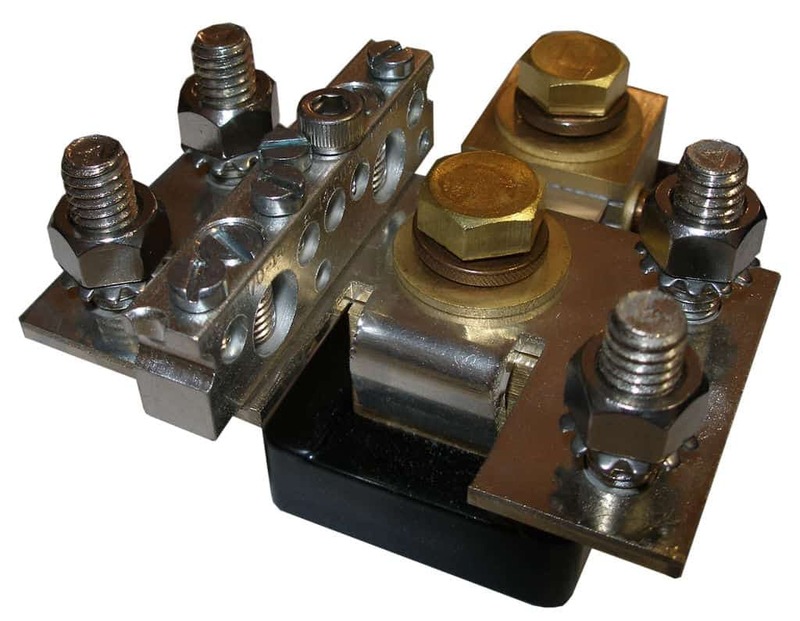 Four 3/8” battery cable studs and a six position aux terminal busbar are included for landing multiple cables on top of a standard Midnite 500 amp shunt. The shunt is sold separately, see related items.